The Liturgy of the Hours is the preeminent prayer of the Church outside the Mass. 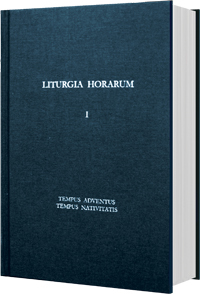 Midwest Theological Forum is pleased to provide Liturgia Horarum. It follows the Editio typica published by the Vatican in 2000, and includes the Memorials of Sts. John XXIII and John Paul II. Permission to print was granted by the Congregation for Divine Worship and the Discipline of the Sacraments (Prot. N. 1028/05/L), and the text has been granted an Imprimatur by Cardinal George, Archbishop of Chicago (July 16, 2009).